After 1868, when the Commander of the Pacific Fleet visited the islands to look after American interests, naval officers played an important role in internal affairs. They served as arbitrators in business disputes, negotiators of trade agreements and defenders of law and order. 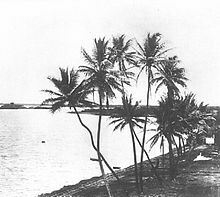 Periodic voyages among the islands and to the mainland aboard U.S. warships were arranged for members of the Hawaiian royal family and important island government officials. When King Lunalilo died in 1873, negotiations were underway for the cession of Pearl Harbor as a port for the duty-free export of sugar to the U.S.[ citation needed] With the election of King Kalākaua in March 1874, riots prompted landing of sailors from USS Tuscarora and Portsmouth. The British warship, HMS Tenedos, also landed a token force. 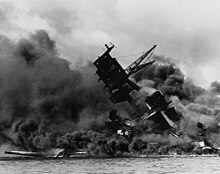 During the reign of King Kalākaua the United States was granted exclusive rights to enter Pearl Harbor and to establish "a coaling and repair station."